Our family has an awful lot of occasions to celebrate this month. ... plus graduations: my niece Nicole and nephew Max graduate from high school; and my oldest niece graduates from Franklin & Marshall University (Lancaster, PA) with a music degree. I bet you're just as busy! 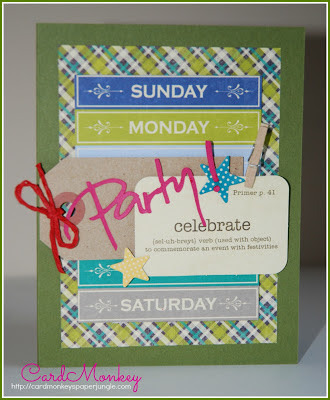 This cute card could be used as an invitation, a congratulations card or a birthday card. To make it, I used a design from May's Card Kitchen kit from Jillibean Soup. 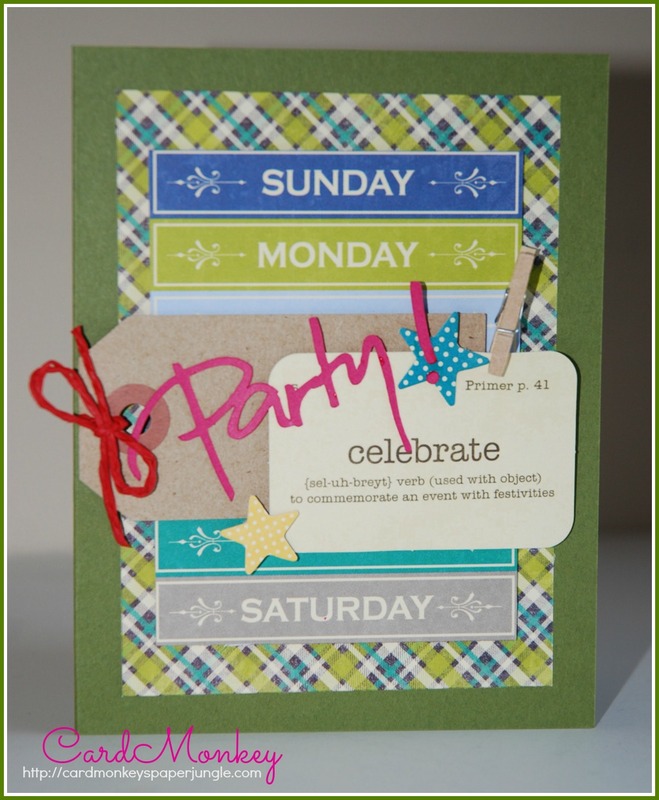 I removed one element from atop the tag, and cut the word "Party!" using a design from Silhouette America's online store. I popped it up in red (which photographs as pink) to give a little more zing. What do you think? Happy celebrations, whatever is on your calendar! !